Welcome to Timex.ca. By accessing or using this website (the “Site”) you (“User”) agree to comply with the terms and conditions governing User use of any areas of the Site as set forth below (the “Terms”). Timex Group Canada Incorporated reserve the right, at our discretion, to change, modify, add, or remove portions from these Terms at any time, and it is your responsibility to review the Terms each time you access this Site. Your continued use of the Site following the posting of changes to the Terms means that you accept these changes. This Site or any portion of this Site may not be reproduced, duplicated, copied, sold, resold, or otherwise exploited for any commercial purpose except as expressly permitted by Timex, its parent, its subsidiaries and its affiliates (collectively, “Timex” or “we”). Timex reserves the right to refuse service, terminate accounts, and/or cancel orders in its discretion, including, without limitation, if Timex believes that User conduct violates applicable law or is harmful to the interests of Timex. User acknowledges that the Site contains content, including but not limited to text, images, graphics, logos, typefaces, icons, audio, video, software, and other material (collectively “Content”) that is protected by copyrights, trademarks, trade secrets, or other proprietary rights, and that these rights are valid and protected in all forms, media and technologies existing now or hereinafter developed. The compilation (meaning the collection, arrangement and assembly) of all Content on this Site is the exclusive property of Timex and protected by U.S., Canadian and international copyright laws and international treaties. All software used on this Site is the exclusive property of Timex or its licensors and protected by U.S., Canadian and international copyright laws. 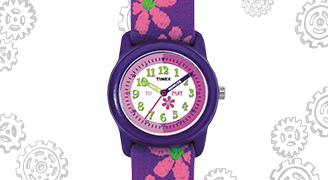 The Content and software on this Site may be used as a shopping and selling resource for Timex. Any other use, including the reproduction, modification, distribution, transmission, republication, display, or performance of the Content of this Site or use for a commercial purpose other than that of Timex's, is strictly prohibited. You may print or have printed by a third party any downloadable material contained on this Site provided that the following three conditions are met: (i) the material is solely for noncommercial and personal use; (ii) no copyright or other proprietary notice is removed from the material; and (iii) the material is not altered in any manner. Timex welcomes voluntarily submitted User comments, information and submissions (collectively, “Submissions”). Timex, however, does not assume any obligation with respect to Submissions and no confidential or fiduciary understanding or relationship is established by Timex receipt or acceptance of any Submission. All Submissions become the exclusive property of Timex and its affiliates. Timex and its affiliates may use any Submission without restriction and User shall not be entitled to any compensation therefor. Neither Timex, nor its affiliates, nor any of their respective officers, directors, employees, agents, thirdparty content providers, merchants, sponsors, licensors or the like (collectively, “Providers”), or any other User of this Site, guarantees the accuracy, completeness, or usefulness of any Content, nor its merchantability or fitness for any particular purpose. In some instances, the Content available through Timex may represent the opinions and judgments of Providers or Users. Timex and its affiliates do not endorse and shall not be responsible for the accuracy or reliability of any opinion, advice, or statement made on this Site by anyone other than authorized Timex employees. Under no circumstances shall Timex, or its affiliates, or any of their respective officers, directors, employees, or agents be liable for any loss, damage or harm caused by a User's reliance on information obtained through Timex. It is the responsibility of User to evaluate the information, opinion, advice, or other Content available through this Site. Timex makes no claims that the content of this Site is appropriate or may be downloaded outside of Canada and the U.S. If you access this Site from outside of the Canada and/or the U.S., you do so at your own risk and are responsible for compliance with the laws of the country or other territory in which you are located. References to a particular product or service do not imply that Timex and its affiliates intend to make such products or services available in all countries. If any provision of the Terms is found to be invalid by any court having competent jurisdiction, the invalidity of any such provision shall not affect the validity of the remaining provisions of the Terms, which shall remain in full force and effect. No waiver of any provision of the Terms shall be deemed a further or continuing waiver of any such provision or any other provision. User agrees to use the Site only for lawful purposes. User is prohibited from posting on or transmitting through Timex any unlawful, harmful, threatening, abusive, harassing, defamatory, vulgar, obscene, sexually explicit, profane, hateful or racially offensive, ethnically offensive, or otherwise objectionable material of any kind, including but not limited to any material that encourages conduct that would constitute a criminal offense, give rise to civil liability, or otherwise violate any applicable local, state, provincial, national, federal or international law. If Timex is notified of allegedly infringing, defamatory, damaging, illegal, or offensive Content provided by User, Timex may investigate the allegation and determine in its sole discretion whether to remove or request the removal of such Content from Timex. Timex may disclose any Content or electronic communication of any kind (i) to satisfy any law, regulation, or government request; (ii) if such disclosure is necessary or appropriate to operate Timex; or (iii) to protect the rights or property of Timex, its Users or Providers. Timex reserves the right to prohibit conduct, communication, or Content that it deems in its sole discretion to be harmful to individual Users, the Timex.ca Site, the communities that make up Timex, or any rights of Timex or its affiliates or any other party, or that violate any applicable law. Notwithstanding the foregoing, neither Timex nor its Providers can ensure prompt removal of questionable Content after online posting. Accordingly, neither Timex, nor its affiliates, nor any of their officers, directors, employees, or agents, nor Providers shall assume liability for any action or inaction with respect to conduct, communication, or Content on Timex.ca. If you register on the Site for the purchase of a particular product or service, you are responsible for maintaining the confidentiality of your account and password and for restricting access to your computer and your account, and you agree to accept responsibility for all activities that occur under your account or password. Timex attempts to be as accurate as possible in describing all products available for sale and/or distribution on the Site. However, Timex does not warrant that product descriptions or other content of the Site are accurate, complete, reliable, current or error-free. Please note that because the colours of the products you see will depend on your monitor, Timex cannot guarantee that your monitor will display the exact actual colour of a product displayed. The availability of certain products may be limited, and products may not be available for immediate sale. Timex any may revise or cease to make available any products at any time without prior notice. In the event that Timex is unable to deliver to you a product ordered due to lack of availability, we will notify you via e‑mail and your order will be automatically cancelled with respect to such unavailable product, provided that Timex may, in its sole discretion, contact you in order to allow you to maintain your order subject to a revised delivery time if and when the product becomes available. Before submitting an order for the purchase of products and/or services using the Site, you will be shown an order confirmation screen (the “Order Confirmation”) describing, among other things, the products and/or services to be ordered, the purchase price and any applicable charges for shipping and taxes. When you submit your order, such order will constitute an offer from you to Timex to purchase the products and/or services described in the Order Confirmation, for the price and subject to the other charges, terms and conditions set out in the Order Confirmation. 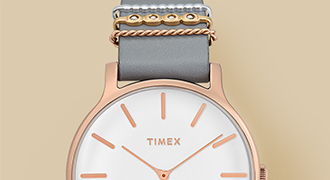 Orders are not binding on Timex until accepted by return e‑mail from Timex indicating that your order has been accepted. THE SITE AND ITS CONTENTS ARE NOT TO BE CONSTRUED AS AN OFFER TO SELL ANY PRODUCT OR SERVICE. All prices and product and/or service orders are quoted and shall be processed in Canadian dollars. Although Timex strives to provide accurate product, service and pricing information, errors may occur. Timex reserves the right to correct any errors in pricing or product and service information and to modify the prices of such products and services, at any time, without prior notice. Timex cannot confirm the price of a product or service until after you submit an order for such product and/or service. 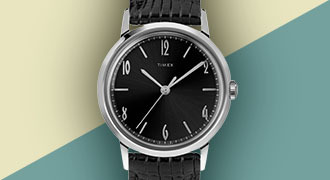 In the event that the price or related information for a product or service (as described on the Site and/or the Order Confirmation) is incorrect due to an error in pricing or product information, Timex may, at its sole discretion, refuse or cancel your order, whether before or after Timex’s acceptance thereof. If there is such an error in pricing, Timex will cancel your order and reverse any charges that have been applied, then contact you to ask you to place a new order for the product and/or service at the correct price. You hereby consent to the exchange of information and documents between you and Timex over the Internet or by e-mail, and you agree that the Terms, together with any applicable Order Confirmations accepted by Timex in electronic form shall be the equivalent of an original written paper agreement between us. You further agree that all agreements, notices, disclosures and other communications that we may provide to you electronically satisfy any legal requirement that such communications be in writing. Timex reserves the right, in its sole discretion, to limit quantities, terminate accounts and to refuse or cancel any order, including after the order has been submitted, whether or not the order has been confirmed or accepted and your credit card charged. 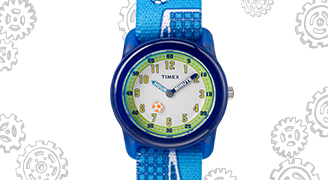 In the event that your order is cancelled after your payment has been processed, Timex will issue a full refund. Terms of payment for any products and/or services purchased through the Site shall be determined at Timex’s sole discretion. Payment shall be made by credit card unless some other pre-arranged method of payment has been accepted by Timex. Any payments made by credit card are subject to the approval of the financial institution that has issued the credit card. Timex will ship products ordered by you according to the delivery method you have chosen and to the address indicated in the Order Confirmation. Delivery times provided by Timex are estimates only. Timex shall not be responsible for any damages or costs resulting from any delays in delivery. Unless otherwise stated, all product and/or service prices quoted do not include shipping and handling charges and applicable federal and provincial sales taxes. Separate charges for shipping and handling and taxes will be shown on the Order Confirmation for each order, as applicable. Canadian customers shall be responsible for all sales, use, goods and services, harmonized sales, and other taxes and duties associated with the order. All products purchased from Timex are delivered to you by a third party delivery company, pursuant to a shipping contract. You shall become the owner of the products and shall assume the risks of loss at the time of delivery by Timex of the products to the third party delivery company. All Product returns are subject to Timex’s Returns Policy, the terms of which are incorporated herein by reference. Some restrictions may apply. User agrees that use of this Site is at User's sole risk. Neither Timex, nor its affiliates, nor any of their respective officers, directors, employees, agents, third-party content providers, merchants, sponsors, licensors or the like (collectively, “Providers or Providers”),warrant that this Site will be uninterrupted or error-free; nor do they make any warranty as to the results that may be obtained from the use of this Site, or as to the accuracy, reliability, or currency of any information content, service, or merchandise provided through this Site. THIS SITE IS PROVIDED BY TIMEX ON AN “AS IS”AND “AS AVAILABLE” BASIS. TIMEX MAKES NO REPRESENTATIONS OR WARRANTIES OF ANY KIND, EXPRESS OR IMPLIED, AS TO THE OPERATION OF THE SITE, THE INFORMATION, CONTENT, MATERIALS OR PRODUCTS, INCLUDED ON THIS SITE. TO THE FULL EXTENT PERMISSIBLE BY APPLICABLE LAW, TIMEX DISCLAIMS ALL WARRANTIES, EXPRESS OR IMPLIED, INCLUDING BUT NOT LIMITED TO, IMPLIED WARRANTIES OF MERCHANTABILITY AND FITNESS FOR A PARTICULAR PURPOSE. TIMEX WILL NOT BE LIABLE FOR ANY DAMAGES OF ANY KIND ARISING FROM THE USE OF THIS SITE, INCLUDING BUT NOT LIMITED TO DIRECT, INDIRECT, INCIDENTAL, PUNITIVE AND CONSEQUENTIAL DAMAGES. To the fullest extent permitted under applicable law, under no circumstances shall Timex or any other party involved in creating, producing, or distributing this Site be liable for any direct, indirect, incidental, special, or consequential damages that result from the use of or inability to use this Site, including but not limited to reliance by a User on any information obtained from Timex or that result from mistakes, omissions, interruptions, deletion of files or email, errors, defects, viruses, delays in operation or transmission, or any failure of performance, whether or not resulting from acts of God, communications failure, theft, destruction, or unauthorized access to Timex's records, programs, or services. User hereby acknowledges that these disclaimers and limitation on liability shall apply to all content, merchandise, and services available through this Site. In jurisdictions that do not allow the exclusion of limitation or limitation of liability for consequential or incidental damages, User agrees that liability in such jurisdictions shall be limited to the fullest extent permitted by applicable law. Timex may terminate User's access, or suspend any User's access to all or part of Timex.ca, without notice, for any conduct that Timex, in its sole discretion, believes is in violation of any applicable law or is harmful to the interests of another User, a third-party Provider, a service provider, or Timex or any of its affiliates. You agree to defend, indemnify, and hold harmless Timex and its directors, officers, employees, agents and affiliates from and against any claim or demand made by any third party, and all associated liabilities, damages, costs and expenses (including but not limited to reasonable attorney's fees), arising out of or relating to your browsing or use of this Site, content you transmit to this Site, your violation of any rights. All content contained on this Site, including but not limited to text, images, graphics, logos, typefaces, icons, audio, video and software, is the property of Timex or its content suppliers and protected by U.S., Canadian and international copyright laws and international treaties. TIMEX, ALLIED, AMERICAN DOCUMENTS, CAVATINA, DGTL, E LOGO, EASY READER, EASY TRAINER, EXPEDITION, FAST WRAP, FLEX TECH, FLIX, INDIGLO. INTELLIGENT QUARTZ, IQ+, IT TAKES A LICKING AND KEEPS ON TICKING, IT'S NOT ORIGINAL UNLESS IT'S A TIMEX, KEEP ON TICKING, MARATHON, MARLIN, MK1, NIGHT-MODE, PERFECT DATE, PERSONAL TRAINER, QUICKDATE, ROAD TRAINER, RUN TRAINER, SLEEK, SPECIALISTS IN THE ART OF TIMEKEEPING, SUPERNOVA, TAPSCREEN, TIME MACHINES, TIME-FACTORY, TIMEX, TIMEX COMMAND, TIMEX IN MAP LOGO, TIMEXPO, TORRINGTON, TRANSCEND, TRIATHLON, TRIBUTE, TRUE SINCE 1854 TIMEX, V / P LOGO, VARIETY, VIEWPOINT, WEEKENDER,ZONE TRAINER and the Triathlon watch design are trademarks of Timex Group B.V. and its subsidiaries. APPLE and MAC are registered trademarks of Apple Computer, Inc. COOL MAX is a registered trademark of E.I. Du Pont De Nemours and Company. ENERGIZER is a registered trademark of Eveready Battery Company, Inc. IRONKIDS is a registered trademark of the Sara Lee Bakery Group, Inc. IRONMAN, M-DOT and IRONMAN TRIATHLON WORLD CHAMPIOHSHIP are registered trademarks of World Triathlon Corporation. ANYTHING IS POSSIBLE and the 25th ANNIVERSARY LOGO are trademarks of World Triathlon Corporation. MICROSOFT and WINDOWS are registered trademarks of Microsoft Corporation in the U.S. and other countries. MOTOROLA, FLEX and FLEXTIME are trademarks and/or registered trademarks of Motorola, Inc. PROPEX is a registered trademark of Amoco Fabrics & Fibers Corporation. SCOTCHLITE is a trademark of 3M. SKYTEL is a registered trademark of SkyTel Corp. Skytel is a WorldCom Company. SWAROVSKI is a registered trademark of Swarovski Aktiengesellschaft. DUPONT, TEFLON and TACTEL are registered trademarks of E.I. Du Pont De Nemours and Company. Only DuPont makes Teflon. CONNECTIX VIRTUAL PC is a registered trademark of Connectix Corporation. VELCRO is a registered trademark of Velcro Industries B.V.
SPEEDPASS, EXXON and MOBIL are registered trademarks of Exxon Mobil Corporation. STOP & SHOP is a registered trademark of S&S Brands, Inc. ADVANTAGE ® MAX-4 HD™, REALTREE HARDWOODS GREEN® HD™, REALTREE HARDWOODS® HD™, and the HIGH DEFINITION® LOGO are used under license by Jordan Outdoor Enterprises, Ltd.
DVD CASH, SPORTING GOODS CASH, MOVIE CASH and MUSIC CASH are trademarks or registered trademarks of The Interpublic Group of Companies, Inc. or Bozell Worldwide, Inc.
REEBOK and the Vector Logo are registered trademarks of Reebok International. Manufactured and distributed by Timex Corporation under license from Reebok International. Timex watches are covered by a variety of patents. Watches with the NIGHT-MODE® feature are covered by U.S. Patent No. 4,912,688. DATA LINK® watches and accessories are covered by one or more of the following patents: U.S. Patent Nos. 5,488,571; 5,535,147; 5,570,297; 5,594,462; 5,742,260; 5,748,895; 5,815,127; 5,835,388 and 5,922,058. i-Control watches are covered by one or more of the following patents: U.S. Patent Nos. 5,742,565 and 5,305,291. Timex watches are also covered by a variety of design patents, including but not limited to one or more of the following patents: D399,759; D409,923; D414,705; D415,693; D409,923; D409,501; D382,492; D353,105; D383,454; D411,957; D360,589; D387,998; D402,210; D386,694; D411,115; D415,433; D380,690; D378,574; D409,924; D346,975; D403,247; D416,811; D413,525; and D417,158.